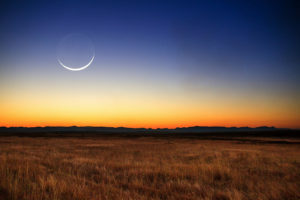 The New Moon represents the Sun and Moon being at the same degree in the same sign. It begins a new lunar cycle for the next approximate 28 days. This New Moon, Monday, March 27th is in Aries, ushering in the spring. Aries is about energy and activity. As there are now four planets in Aries, the Sun, Mercury, Venus, and Uranus people are more confident and direct, though impatience can be an issue, as well as being impulsive. Aries is always in a hurry. The Moon also meets Venus hours before the New Moon, moving us to take action to bring more of who and what we love into our lives. Also today, the planetary ruler of Aries, Mars, makes an opportunity aspect to spiritual and creative Neptune, adding intuition which help guide us toward the right time to act. Once we’re sure of what we want and where we’re headed, there’s no stopping us.